Our country is known abroad by its beaches and gorgeous green portraits. However like any other country there is more than that to know before deciding to come to live here, or to just visit for a while. Sweet, golden, sour, royal and fresh, the mouthwatering fruit that usually makes you think about Hawaii. Well, surprisingly it's grown in Costa Rica, at least most of world's pineapple. Did you know that there are more bird species in our tiny piece of land than North America altogether, from Mexico up. We are a green green spot, who prides on the wide variety of animals and plants you can enjoy. Once a friend told me he actually thinks we pay the animals to give a show for tourists, since every single time he goes to a beach or park an adventure will happen. 97% of the country's electric power comes from clean energy sources. The CNFL (Compañía Nacional de Fuerza y Luz) has worked hard for decades for this goal of providing almost all our energy from sustainable sources such as windmills and hydroelectric plants. The plan according to the government is to quit using oil by this year (2018), and we've been doing so for months now. Having a clean home starts from the inside! 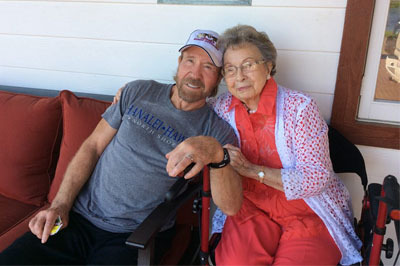 Who does Chuck Norris go when is sick? Like all of us, to his mom's of course! And interesting enough, she lives here in San José. That's why the black belt champion comes very often to our warm weather.